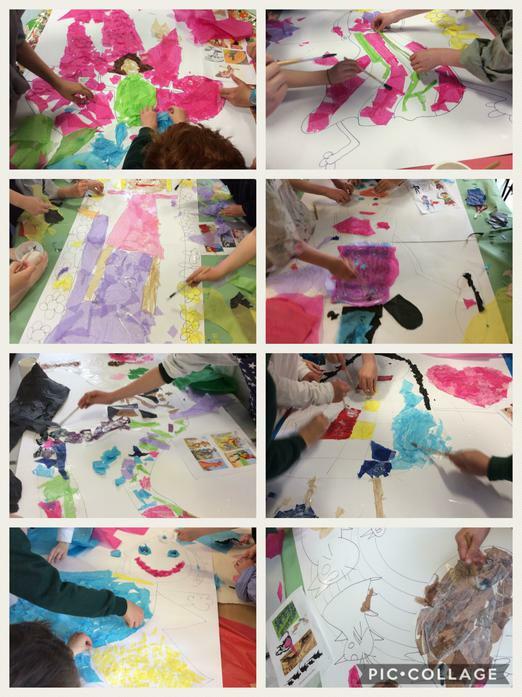 Arts week is well underway and there is magic in the air. 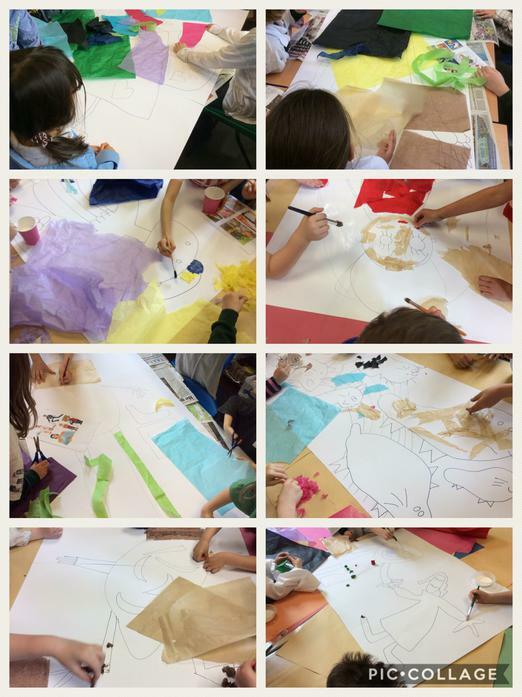 This morning, Miss Thomas explained to the children that each class would be learning about a fairy tale and they would be completing some art activities throughout the week based on these stories. 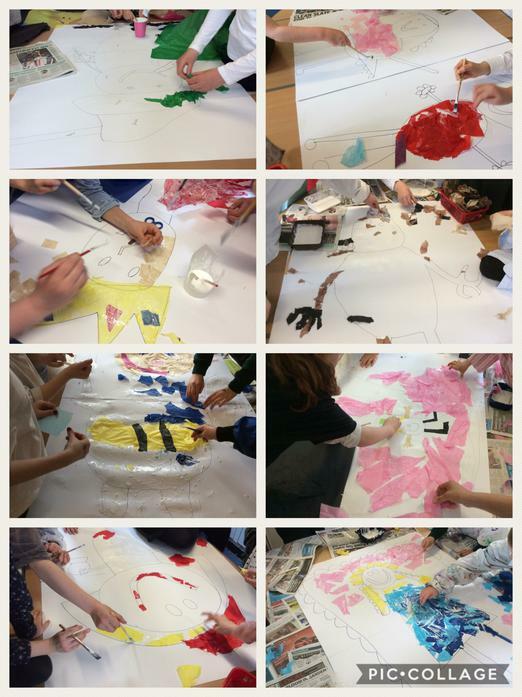 Today’s art project involved every child in the school working together in groups to complete a collage of a fairy tale character. The characters were drawn by the children in Reception last week and over the weekend the characters have magically got bigger! A LOT bigger! These photos show the characters half way through. If you want to see the final pieces of art, come along to the Art Trail on Friday at 2.00pm.